For a long time my concept of sourcing – basically order fulfillment – was all wrong. When I ordered a USB charger or headphones for my phone or MP3 player, I thought some little old lady in Texas headed over to a warehouse, put the item in a box, gummed on a few stamps, and sent the item posthaste. I’m sure there was a computer in there somewhere, but it was a pure transaction – item, box, mail truck, my door. Little did I know that everything in the world came out of a one-square mile gated complex in Shenzhen, China. 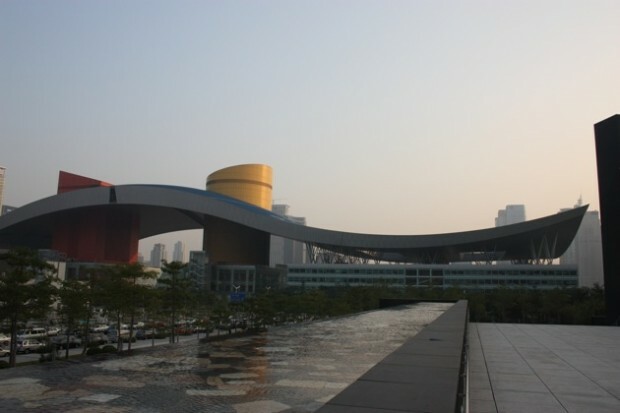 The area is called the Shenzhen Special Economic Zone and it’s an ultra-dense supernova of commerce. Items sold from the zone are shipped out through customs officials and you can’t take a laptop or a phone in or out without proper paperwork. It is a capitalistic game preserve designed to allow ostensibly Communist China to enable ostensibly capitalistic suppliers to do business with the world while taking advantage of China’s low wages and vast populace. Compared to the other factory I saw, this area looks more like Switzerland than China. Aside from the smoky pall covering the hills surrounding the park and the gray functionaries behind the customs desk in the building I was in, you could be anywhere. I was led up to a modern Western office with Chinese English-speakers manning the doors. A female guard saluted us as we passed. She can’t have been more than twenty, and her uniform was baggy on her small frame. This was a secure area. Nothing left or came in without authorization. There is no such thing as pilferage here. A word on these factories. Most of the factories are built in similar economic zones and they provide everything for their workers. There are canteens, dorms, and education centers (although English isn’t usually on the menu). One factory, Foxconn, has an estimated 350,000 employees in its Shenzhen campus. To put this into perspective, one of the largest state schools I know, Ohio State, has 60,347 students. Microsoft has about 93,000 employees. Another metric: Foxconn’s Shenzhen campus kills 4,000 pigs a day for the cafeteria. That’s a lot of pork. There was no way I was getting into the factories, but I saw the next best thing. When you order something online, say a USB adapter or set of headphones, or even a laptop – the factory makes it immediately. It’s like ordering a burger at McDonald’s. Sometimes it sits around but mostly there’s some underpaid dude who can slap it together in a minute or two. It’s that simple. It’s just in time manufacturing at its finest. Sure some of the stuff they make and store – other commodities, maybe, or smaller, popular items. But there is no expectation that your device exists today. Remember how Dell used to say they made your PC as soon as you ordered it? Well the assumption was that they sourced the parts and put it together. But in this case the device could have feasibly been plastic beads and solder a few minutes before your order. The manufactured item ends up on a long table staffed by women who place it in the package and send it further down the line. It’s almost always women in these factories, except on some of the lines for larger items like TVs. They place the item in the pre-made box, put in a little instruction card, and send it down the line. The order then moves down to the sealing station. It is cheaper to hire women than to buy a sealing robot, so each and every item is sealed by hand. While this may be different in some factories, it is the Chinese norm. The sheer number of human hands involved in this process is staggering. The item hits a box and then hits the shipping area. An item made in the morning can be winging its way to you that night and arrive the next day. Another factory I saw was able to source twenty prototype MP3 players for a major retailer in a day, and they arrived in time for a meeting two days later, custom box and all. This is the new Chinese manufacturing. It is just-in-time, always running, and staffed by humans from stem to stern. Again, my experience is limited to a few factories within a small area but this jibes with explanations I’ve heard elsewhere. Now the question is this: If these factories have thousands of people, why aren’t there leaks? And when they do occur, why do they happen? The answer to the first question is that the employees are fiercely loyal to their employer. It is amazingly difficult to lure an employee out of Foxconn to work in another job let along gather intelligence. Work is siloed and everything is kept separate. One factory may make the memory for a new laptop (or iTablet) and another factory will make the screen. The twain will only meet in the just-in-time shipping facility. For example, toy companies may manufacture in the same building but each individual factory is hidden behind a locked wooden door. The guys from Hasbro don’t talk to the Wowwee guys. It just doesn’t happen. To leak is to lose face and risk losing a contract. So what is happening when things leak? It’s a pump and dump scheme. This happens all the time for news sources based in Taiwan and China. A company can make perhaps a 7 percent profit to manufacture an item for customer A. If that customer is big enough and important enough, however, they will often take a quick risk: they’ll leak the news that they’re making “screens for Apple” or “phones for Motorola” and get a 21 percent uptick in their stock price. The same goes for blurrycam photos of tech. There is no monetary, legal, or personal incentive for a low-ranking employee of these factories to leak the things they are building. They’re not reading blogs all day, nor are they likely to be aware that anyone gives a damn about whatever they’re working on, be it iTablet, Zune phone, or Playstation 4. To them it’s just another item on the assembly line. The real value comes from the folks higher up with a few thousand shares of the company. We, the neophile gadget lovers, are essentially driving the pump and dump scams. And so the cycle continues. We order something, it comes. We want to see new things, someone provides. Everything is just hours away. This article is part of a series about manufacturing in China. Read more parts here.